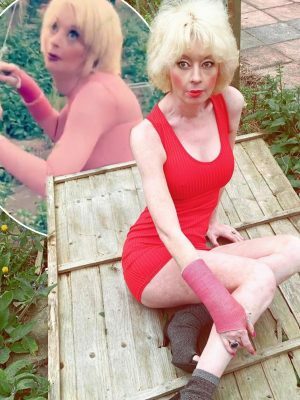 Lauren Harries has sparked concern after posting a series bizarre videos online to her thousands followers. The 41 year old has racked up a fanbase over 13,500 followers since she started posting the clips last month. 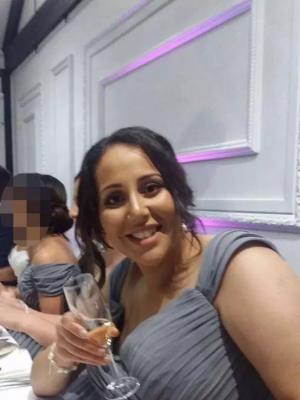 However, some fans have shown their worry for the former Celebrity Big Brother star after she posted videos from her unkempt garden. One clip — which has been viewed almost 24,000 times — sees the former antiques expert dancing to Cardi B’s Money while hanging f her washing line. 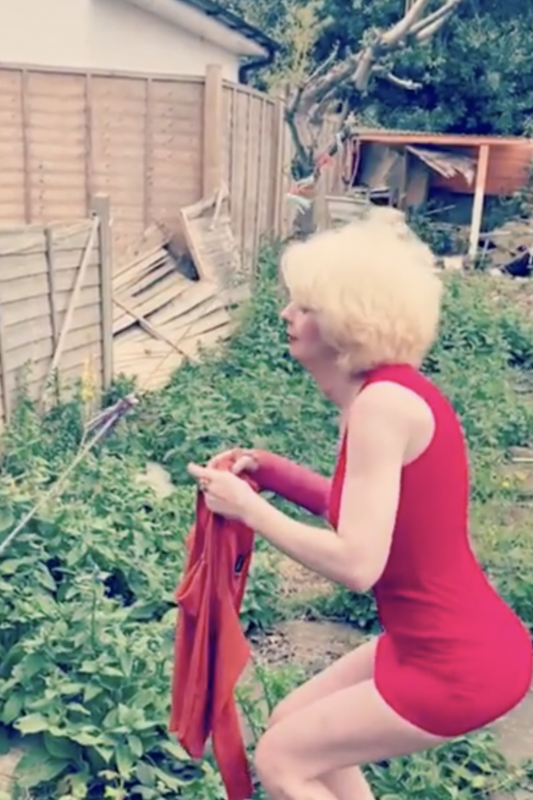 Wide eyed and slapping her bottom, she stands in a garden full weeds while her garden fence is seen collapsed in the background. A second clip sees her hang washing on the line while dancing to Kanye West and Lil Pump hit I Love It. Hitting back at fan’s dismay at her garden’s appearance, she cheekily posed for a photo sitting on the broken fence panel. Taking filming her viral videos inside, Lauren lip syncs to Tulisa’s comeback single Daddy while throwing her phone on the floor and rubbing her body. A number her videos also see her parodying two adult film stars who have become social media sensations.